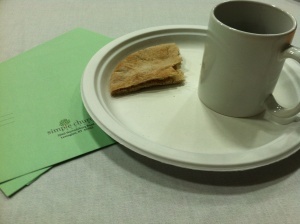 This past Sunday night was the Simple Church Alliance’s summer celebration. A gathering of all the home churches in the Lexington area. Unfortunately I was the only person from our home church that was able to go, but I represented well with suspenders and all. I am grateful to attend the monthly leadership meetings and know quite a few people that I caught up with. It is just refreshing to see everyone. For me, even more refreshing seeing children. I love living in downtown Lexington, but not seeing this age demographic on a regular basis I forget how awesome kids are. 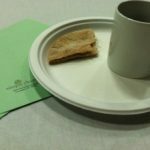 We started the evening with a meal and communion. I love that this is a regular part of the majority of home churches. It brings about casual conversation and back to Christ. The focus is always on Christ. We cannot forget what we live for. The vision is Jesus. I loved these two groups and the other groups that were represented. There were a couple of worship songs sung. There was only one couple from another church that showed a lyrics YouTube of Gungor’s Beautiful Things. I showed a spoken word video that I have previously posted about the woman at the well. It was just a really encouraging time. For me, just seeing parents eager to raise their children in a Godly manner was greatly insightful. Not only do they raise their children and many of them home school their children, but the parents’ time and energy it takes to incorporate the kids in all aspects of the home church. Children are not sent to children’s church or Sunday School. They are involved in the discussion, even this Sunday night. It is important to note that they something to add to the discussion. Jesus is speaking into their lives also. We should be encouraged and challenged to what is teaching them or us through them. Gavin lead everyone in table top discussions with prompting questions on how God spoke to us recently? And how is speaks to people? A simple discussion, but important things to consider. I love the aspect that since everyone is so unique in how created them that God reaches to them in His own way. It’s beautiful. God cannot be put into a box in how He speaks, but draws people to Him in individual ways. This was a Simple Celebration! Always an encouraging time for me.